Base map dated May 1962. Item is a map showing boundaries of clearance areas, proposed land use and street system, new streets and lanes, easements, sites not to be acquired, and buildings to be retained in project 2. Some clearance boundaries are hand-coloured. 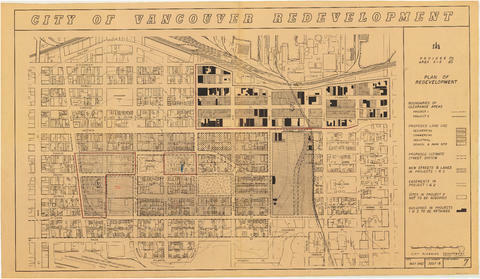 Map covers the area bounded by Main Street, Clark Drive, Alexander Street, and Atlantic Street. File number 3557-B; Plan number 7. An annotation on the lower right indicates the map was formerly under file number 3563.B. 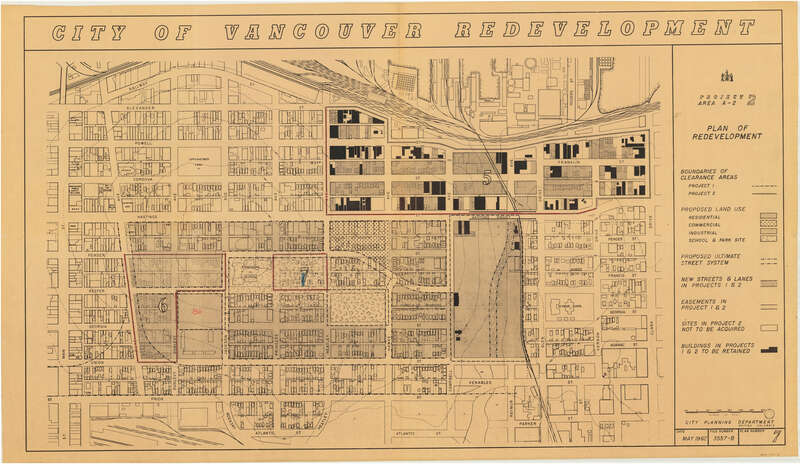 Copyright : City of Vancouver; expiry: 2038-01-01.